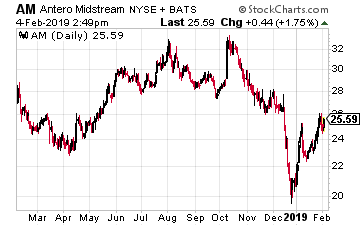 2018 was a terrible year for energy midstream company stock prices. The drops were fueled by distribution cuts from some major players, corporate restructuring moves, and a misunderstanding of the sector merits by the investing public. 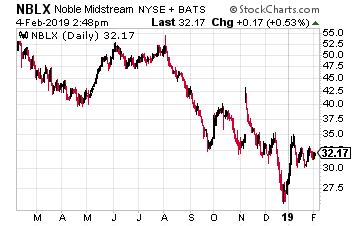 While there were valid reasons for many energy infrastructure stocks to drop in value, as is often the case, the good declined with the bad. Good companies with low share prices offer great opportunities for future attractive total returns. Energy infrastructure (sometimes called midstream) companies own the assets that transport, store and transfer energy products including crude oil, natural gas, natural gas liquids (NGLs), and refined fuels. These companies own gathering and processing networks and facilities, pipelines, storage tanks and terminals. A few years ago, almost all the companies in this sector where organized as master limited partnerships (MLPs). The restructuring moves over the last two years have left the group with a balance of MLPs and corporations. This has always been an income focused stock market sector. The stocks carry attractive yields, and many of the companies have policies of quarterly dividend increases. The investing public has focused on the dividend cuts and corporate reorganizations that resulted in “stealth” dividend cuts. However, there are solid companies in the midstream sector that have continued with steady and growing distribution payment to investors. Many energy midstream companies announced their next dividend payments a few weeks before the quarterly earnings announcement. Through the end of January, 63 companies had released distribution announcements. That group included 26 increases. Although it hasn’t been so for the last four years, historically, the companies with the highest dividend growth rates produced the best opportunities for total return – current yield plus share price appreciation. Here are the midstream companies with the largest dividend increase announcements in January. 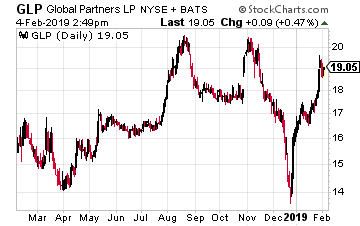 Noble Midstream Partners LP (NYSE: NBLX) is a three-year old MLP that provides crude oil, natural gas and water-related midstream services for Noble Energy and third parties. The company operates in the DJ Basin in Colorado and the Delaware Basin in Texas. The 4.7% current, 20% year-over-year distribution increase are right in line with the company’s history. Management has guided for continued 20% annual distribution growth through 2022. Shell Midstream Partners, LP (NYSE: SHLX) is a midstream master limited partnership formed by Royal Dutch Shell plc to own, operate, develop and acquire pipelines and other midstream assets. The SHLX distribution was increased by 4.7% and is up 20.1% year-over-year. 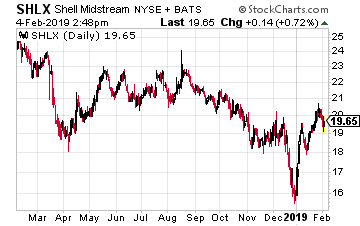 With its October 2014 IPO, Shell Midstream Partners was one of the last high-growth MLPs launched before the energy sector crash in 2015. This MLP has been a solid 20% grower but is not well known even in the MLP focused investment circles. Phillips 66 Partners LP (NYSE: PSXP) is sponsored by fuels refiner Phillips 66 (NYSE: PSX). The MLP provides pipeline, storage, and terminaling services to the refining company. The latest PSXP distribution was increased by 5.4%, with year-over-year growth of 23.2%. PSXP just completed five years as a publicly traded MLP. It hit the goal stated at the time of the IPO of five years of 30% annual compound distribution growth. The company has not yet provided future distribution growth guidance. Antero Midstream Partners LP (NYSE: AM) is a natural gas gathering and processing MLP that primarily provides those services to its sponsor corporation, natural gas producer Antero Resources (NYSE: AR). The AM distribution was increased by 6.8% for this quarter and the payout grew by 28.8% over the last year. AM will convert from MLP to a corporate structure in the first half of 2019. Management has provided continued guidance for high 20% annual dividend growth. Global Partners LP (NYSE: GLP) is an independent owner, supplier and operator of gasoline stations and convenience stores. The company just increased its distribution by 5.3%. Year-over-year distribution growth was 8.1%. The recent, strong distribution increase gives confidence that the rate can be supported, and investors can count on the high 10.5% yield from GLP. 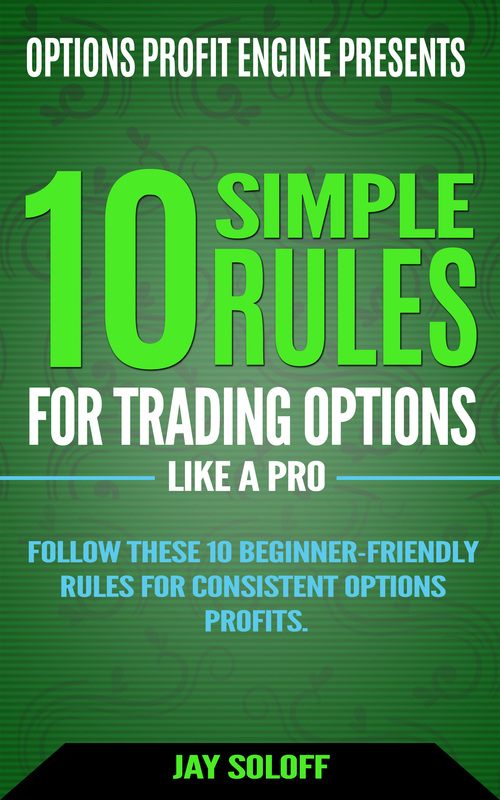 One simple plan takes minutes to set up, yet could pay all your bills for life. No longer will your mailbox be stuffed with ‘payment due’ envelopes. This is our most powerful plan we’ve ever put together…and nearly 7,000 retirement investors have already used its recommendations. There is still time to start generating $4,084 per month for life…but the window is closing. Click here for complete details.